Hamas’s security forces tighten security in Gaza after suicide bombing at the Rafah crossing. 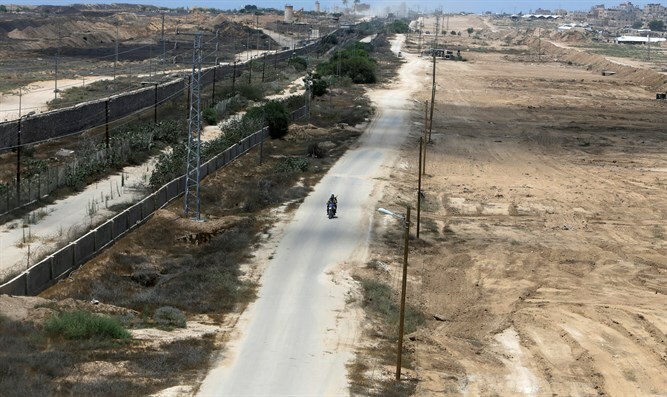 Hamas’s security forces have tightened security in Gaza after a suicide bombing on Thursday targeted Palestinian security forces near the Egyptian border, the Ma’an news agency reported. A suicide bomber killed a Hamas guard in the attack, which occurred at the Rafah crossing with Egypt at around 1:00 a.m. Thursday morning. It was the first time a suicide attack has targeted Hamas forces in Gaza, security sources said. Gaza security forces and the Izz al-Din al-Qassam Brigades, the so-called “military wing” of Hamas, were heavily deployed in areas in southern Gaza, near the Egyptian border, following the suicide bombing. Locals told Ma’an that a number of army checkpoints were erected in the cities of Rafah and Khan Younis near Gaza’s borders with Egypt. Meanwhile, Hamas said that it was strengthening security measures near the borders to prevent extremist members of the Salafi movement from sneaking into Egypt from Gaza to join Ansar Bait al-Maqdis, now known as the Sinai Province which is affiliated with the Islamic State (ISIS) group. This week, the crossing was opened in order to allow the passage of Muslim pilgrims traveling to Saudi Arabia for the Hajj pilgrimage. It appeared as though the terrorists took advantage of the border crossing being opened to attack Hamas forces.